#SimplyBeReal Moments | gingerbread smiles. Although I have a wicker chest full of different shoes, I always wear the same ones. My black biker boots. I'm on my second pair after spotting my most recent ones in Bank and falling in love. I wear them all the time with everything, they are my comfort shoes and I think they look great. Whenever I have jeans on, they are on my feet. Dresses I love to grunge up with my boots and I would wear them to work if I could but that's going a bit too far. The only problem with my new boots is the sound they make as I walk. You'd expect a shoe to jingle when it has little bits of metal on and accept that as a small price to pay. My boots have loads of little metal bits that all clang together as I walk making it sound like a have a pocket full of change. At first I felt a bit self conscious; my mum said I couldn't wear them with her around and my boyfriend asked if Santa had been (jingle jingle). However after a while, thinking and knowing my boots looked amazing (wink wink, nudge nudge) I got over it. The stares continue as people wonder where on earth the noise is coming from but I just strut on past. The image below, by the lovely Jo Cheung, illustrates the stares that I get when I'm out and about rocking my gorgeous biker boots. SimplyBe have started the hashtag #SimplyBeReal across social media (twitter/facebook/instagram/tumblr) asking people to share the real moments women experience in their everyday life and that fashion doesn't always go as planned. My story certainly shows that it can look good, but it is not always the most practical or the quietest! 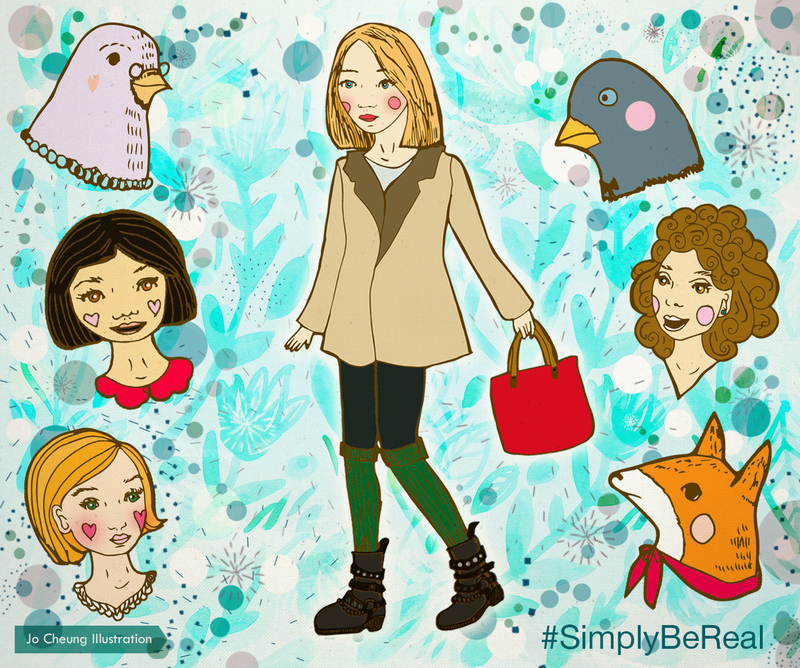 Get sharing your #SimplyBeReal moments on social media!